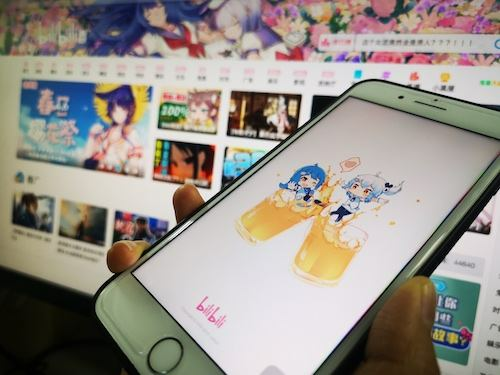 Chinese popular online video platform Bilibili Inc. announced Sunday that it had partnered with American entertainment company Funimation, a subsidiary of Japanese conglomerate Sony, to acquire anime licenses. Bilibili, one of China's largest anime streaming platforms, and Funimation, one of the leading distributors of foreign anime in North America, will cooperate to purchase anime copyrights and expand their business overseas. The two companies inked the strategic partnership at the ongoing AnimeJapan 2019, an annual anime fair held in Tokyo, according to Bilibili. Carly Lee, vice chairman of the board and chief operating officer of Bilibili, said at the fair that the cooperation could help push forward the development of the global anime industry. She said the two companies had a lot in common as both had helped many high-quality anime enter the global market. Gen Fukunaga, president of Funimation, said the two companies would pursue new opportunities in the industry and bring new anime to fans around the world. Bilibili, a NASDAQ-listed company established in 2009, reported a revenue of 4.13 billion yuan (615.4 million US dollars) last year, a year-on-year growth of 67 percent. In February, Alibaba's e-commerce retail platform Taobao bought 24 million shares of Bilibili, owning an 8-percent stake in the company.